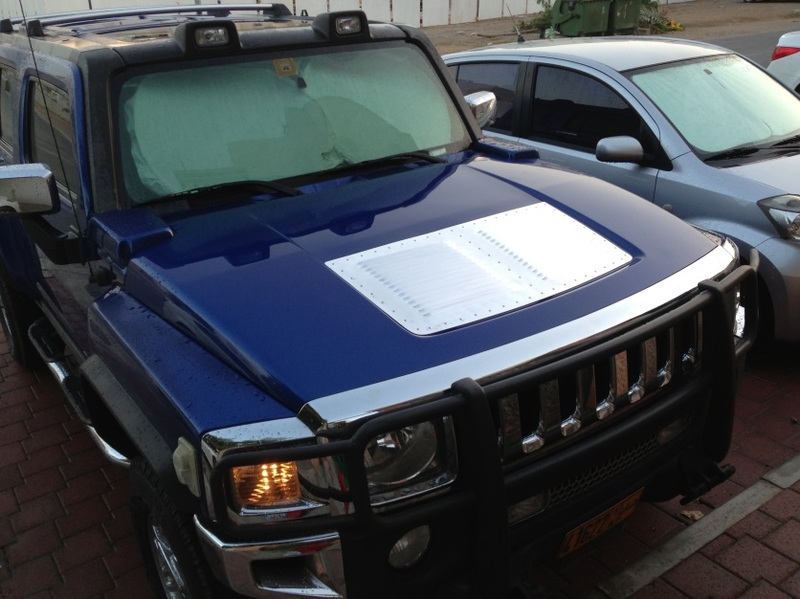 Hummer H3, in progress in the Middle East, in Muscat, Oman, (yes, the word gets around — around the world!). 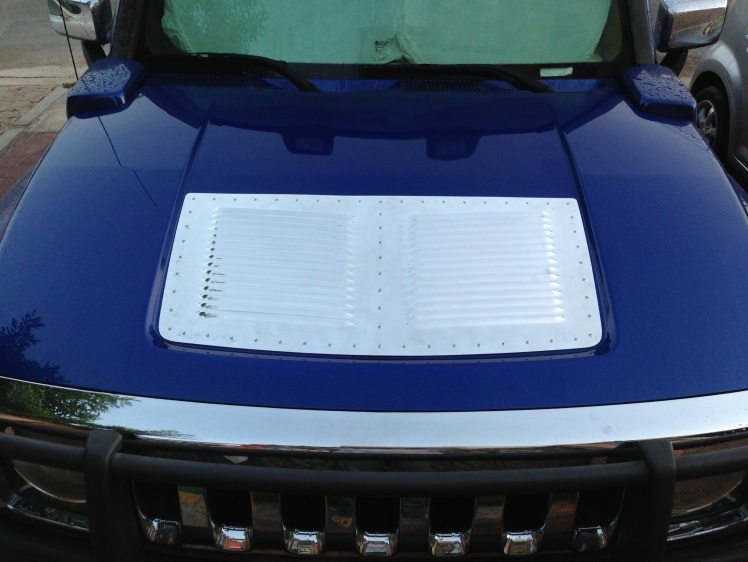 Owner Mike Hurst tells us “It was 50°Celcius (118°F) today!” He’s installing our Size WideFlow Hood Louvers (which is one wide panel). Next step: “Swiss cheese”/hole out (with 2 1/2”-dia. hole-saw drill bits) the central, non-support areas of the hood frame, to help the engine heat rise up, through and out! Photo 2 They look great – much better than the fake plastic prison lunch-tray thingy from the factory! Photo 3 Ready to cross the deserts of Oman. Note the sunshades in the windows of both vehicles. 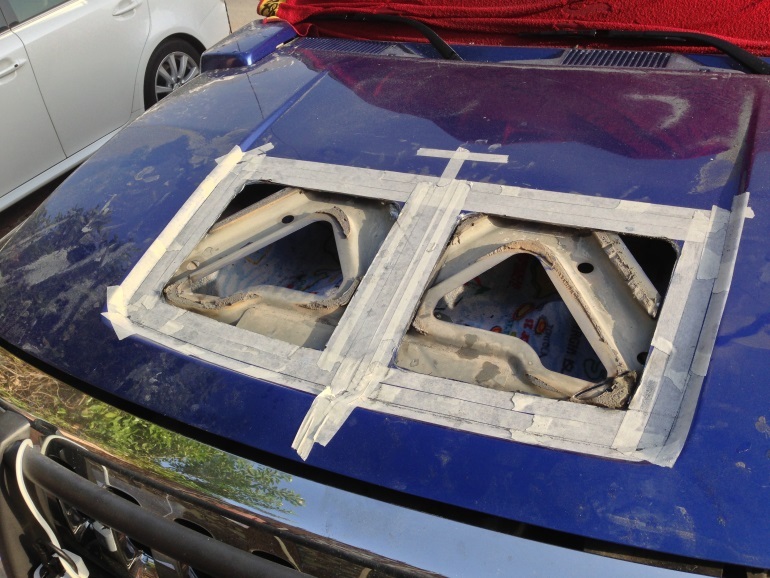 Without these, when you park your vehicle in Oman, you could come back and find your plastic and vinyl interior components melted!! !